Warning: the office of SWS Company is located of the territory of a plant with checkpoints. The checkpoints are open from 9 to 17. 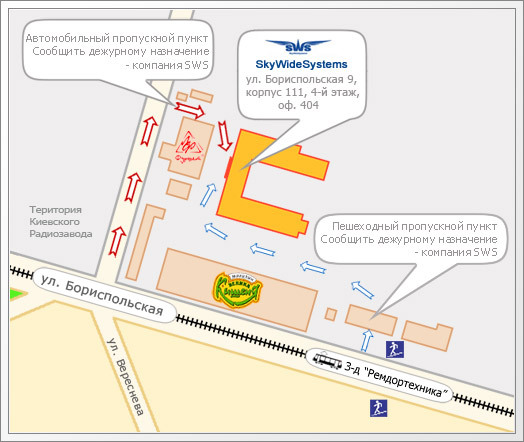 At the checkpoint a visitor should show an identity card and to report a purpose of visit: to SWS Company/to Sharadkin Alexey Dmitriyevich.